With Christmas over, the new year is rapidly approaching. So I thought I would list the top books I read over the course of this year. I was looking back over the list of books that I had hoped to read over 2010, which I posted in this article over at my personal blog, and I realise I did not get to some of them. But, needless to say, I was able to read others in their place. 1. Surprised By Hope by N.T. Wright. This is a fantastic read. While I never posted an official review, I did post many quotes from the book: post 1, post 2, post 3, post 4, post 5. In this treatise of his, Wright addresses particular topics such as the resurrection of Christ, the resurrection of believers, the kingdom of God, heaven, hell, paradise, purgatory, the soul and the body, the second coming, and how this all should practically affect the mission of the church. It is a top read for any believer (or non-believer for that fact). 2. Inspiration & Incarnation: Evangelicals and the Problem of the Old Testament by Peter Enns. This book is a scholarly, yet readable, book in which Enns looks to address many of the difficulties of understanding the Old Testament in light of much recent research surrounding the ancient near east and the Old Testament. While many evangelical scholars have been critical of the book, I believe Enns maintains a solid evangelical approach to the God-breathed and authoritative nature of Scripture while dealing with such difficulties. I have posted a two-part review here and here. 3. Justification: God’s Plan & Paul’s Vision by N.T. Wright. Here is Wright’s response to John Piper’s book, The Future of Justification. If you are not familiar with the discussions surrounding justification, especially the new Pauline perspective (of which Wright is a proponent), you can read my summary here. Piper is of the traditional reformed perspective, which is quite opposed to much of the new Pauline perspective. While I have not posted a complete review of this book as well, I have posted significant quotes here, here and here. It is my desire to review the highlighted parts of both Wright’s and Piper’s books and post some thoughts comparing and contrasting the two works. 4. Surprised by the Power of the Spirit by Jack Deere. This book links in quite well with To Be Continued. A former professor at Dallas Theological Seminary, Deere had to leave the seminary because of his theological and experiential change from cessationism to continuationism. In this book, Deere addresses issues biblically and theologically, as well as he shares solid accounts of the work of the Spirit in his life and the lives of others. My review can be found here. 5. A Generous Orthodoxy by Brian McLaren. As a leader within the emerging-emergent church movement, this is probably McLaren’s most known work. There are plenty of evangelicals that loathe McLaren, some seeing him even as a heretic. I don’t agree with all of his thoughts in this book, but I wouldn’t go so far as to call him a heretic. In all, McLaren has written this treatise, now probably read by multiple millions, to stir the church to open their hearts and minds to those outside their own specific church circle. This is not too easy for many a Christians. My review can be found here. 6. A New Kind of Christianity by Brian McLaren. If people had problems with A Generous Orthodoxy, then I cannot even imagine them being at all interested in this book. In the work, McLaren asks 10 hard questions that many evangelicals avoid asking. Again, while I did not agree with every thought in the book, and I disagree with even more in this book than in A Generous Orthodoxy, I still believe the 10 questions need to be asked by the church in the 21st century. My review is in two parts: part 1, part 2. 7. The Future of the People of God: Reading Romans Before and After Western Christendom by Andrew Perriman. I was glad to receive a personal copy from Perriman. Whereas the new Pauline perspective is a challenge to much of the western, reformed perspective on Romans, Perriman takes the challenge even further, looking to more firmly situate the book within its historical-narrative context. My review can be found here. I also frequent Perriman’s blog. 8. Love & War by John and Stasi Eldredge. I generally appreciate books by John Eldredge, i.e., The Way of the Wild Heart. While some marriage books can feel of the self-help genre, I don’t believe this book falls into that category. The book was not life-transforming for me, per se, as I have read some of these thoughts before in other books by the Eldredges. But, still, it was a good read because it was honest, it was real, it was personal, and it addressed things that might not show up in your average Christian book on marriage. Here is my review. 9. The Confession by John Grisham. This is one fiction book I recently read, being Grisham’s newest release. I have read all his books, as I do enjoy titles of the crime-suspense genre. You can read my thoughts on the book in this recent review. 10. Rooms by James Rubart. This is a fiction book that was recommended to me by a friend. Interestingly, the plot has a feel to it like The Shack, but people should not struggle as much theologically with this book. I have only finished it this week and so I will post a review in the days to come. 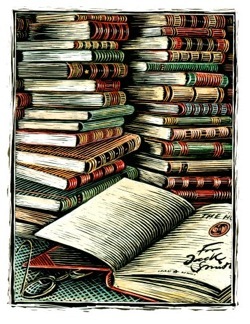 I know I have recently been on the book theme quite a lot, but I do hope to post the top books I hope to read in 2011 over at The Prodigal Thought. Happy New Year! This entry was posted in books, resource and tagged books, resource. Bookmark the permalink.